Dr. William U. Murthy and his Orthodontics of Cambridge Team are excited to remind the community of "The Anasuya Orthodontic Scholarship". To find new ways to support the Cambridge community and surrounding towns, Dr. Murthy offers 2 orthodontic scholarships annually for children (one male & one female), based on financial needs. Each child will be provided with free orthodontic treatment to help them achieve a healthy & beautiful smile. 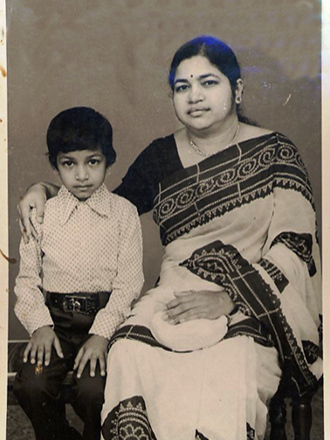 The Anasuya Orthodontic Scholarship is named in honor of his mother, who shaped him into the man he is today. In the Fall of 2013, Tyler and Shira's moms both wrote fantastic letters detailing why they felt their children would be great candidates for the scholarship, and we agreed! Shira is a 13 year old Chenery Middle School student who greatly enjoys swimming and volunteering, and she loves to sing and act on stage. We are thrilled for the opportunity to give her a smile that will make the stars of Broadway green with envy. 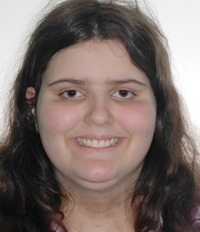 Shira started her comprehensive orthodontic treatment with upper and lower braces in February of 2014 and will have a healthy, beautiful smile just in time for Freshman year of high school. 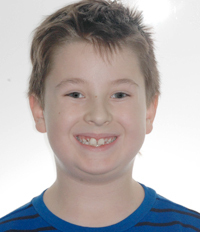 Tyler is a busy 8 year old who attends Burbank Elementary in Belmont. He loves soccer, football and videogames and has really taken a liking to the iPad we have in our waiting area for patients to use. His mom realized early on that there might be a couple of concerns with Tyler's mouth that could easily be helped with interceptive orthodontic treatment at an early age. We couldn't help but agree with her! Tyler started Phase I treatment involving a pallet expander and limited braces to help his jaw form properly and his adult teeth to erupt in a healthy manner. We know he'll have great time picking out a fun colored retainer at the end of this phase of his treatment! If you have, or know of, a child in the Cambridge community, or surrounding towns, who you think would truly benefit from the gift of complimentary orthodontic treatment, please read below to learn about how and when to submit your application letter. First visits are entirely complimentary and we are always thrilled to welcome new faces into our care. We look forward to hearing from you soon! Who is eligible for The Anasuya Orthodontic Scholarship? While there will only be two scholarship recipients annually, all applicants who meet these requirements will receive a $500 discount off of their orthodontic treatment with our practice just for participating! How do you apply for The Anasuya Orthodontic Scholarship? Please tell us a little bit about yourself and why you feel you would benefit from the gift of a beautiful, healthy smile. Word count between 250 and 300 words. Please include your full name, your birthday, a parent or guardian's name and phone number. The statement may be mailed or dropped off in person, and must be in our office by October 5th, Dr. Murthy's birthday. Dr. Murthy and his team will read the essays and release the results by October 31st. After the results have be released, what next? The award recipients should call our office within 3 business days to confirm their acceptance of the scholarship. Then he/she will schedule their first visit with Dr. Murthy in his office to establish a treatment plan and start the treatment process. If we do not hear back from the winner within three business days, the award will be offered to the next eligible recipient. If the recipient is a candidate for Phase I, then he/she will most likely need Phase II when his/her permanent teeth have erupted. While the scholarship would fully cover Phase I only, the recipient will receive a 25% discount towards Phase II treatment fee. If the recipient is for Phase II, the scholarship will award full treatment of permanent teeth. Extractions needed for orthodontic treatment, exposure of impacted teeth during orthodontic treatment, regular dental check ups, cleanings, cavities etc. and basically anything that Dr. Murthy does not do in his office as a part of regular orthodontic treatment. Also, if the child or the family moves out of the area, then it would be their responsibility to continue treatment with a “new” orthodontist and all the financial matters that comes with the new orthodontist. Please call us if you have any questions regarding The Anasuya Orthodontic Scholarship. My team and I are here to help you!